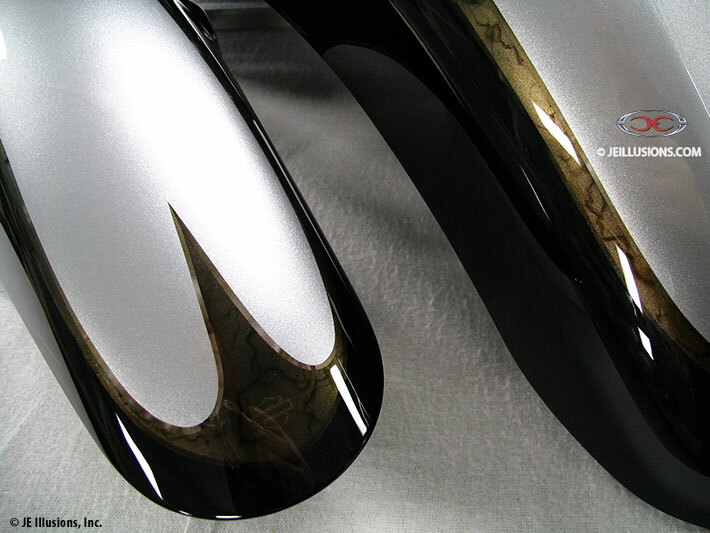 Silver with airbrushed Pearl effect and High Gloss Jet Black with Gold marbled trim. 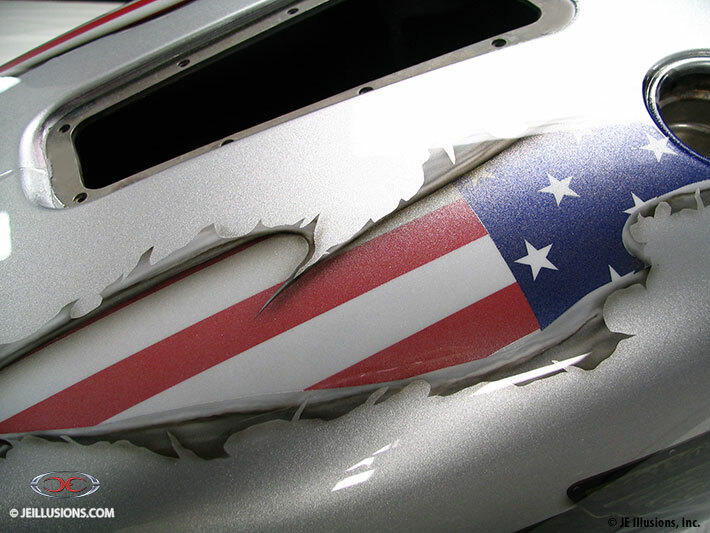 Tank and back wheel fender have a realistic "ripped" metal effect with American Flag showing through. 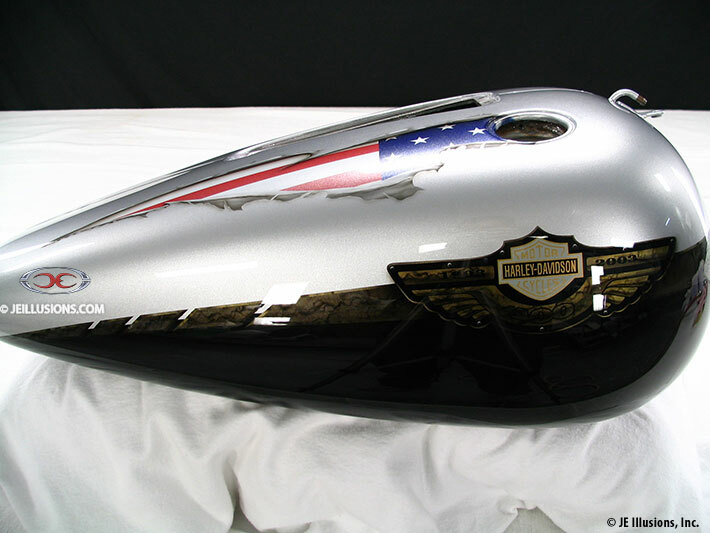 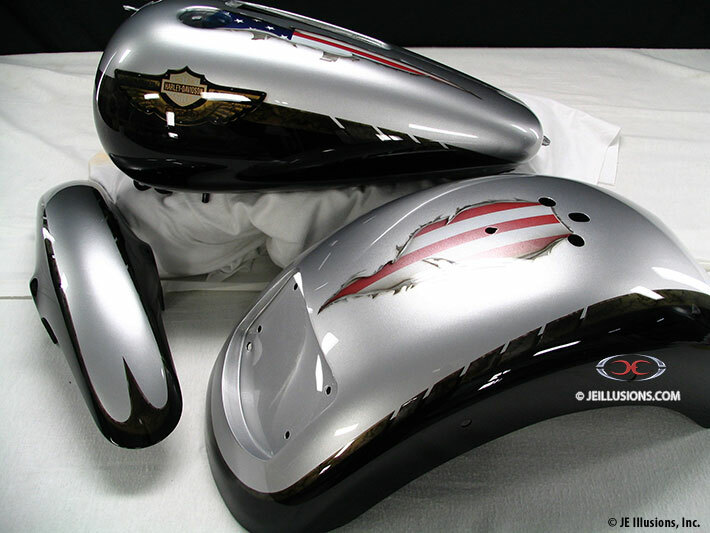 Nice Harley Davidson winged logo on tank sides completes this paint job.